People tend to give up easily during a diet or weight loss plan. It is not easy to keep weight in control. Getting motivated is a challenge- staying motivated, even more so. Eat protein at meal time. Protein is an important nutrient for dieters because it helps regulate your appetite and it is also hard for your body to digest which means that it requires a lot of energy to break down giving you a boost to your metabolic rate. Learn how to regularly add a higher calorie day. This sounds crazy but you will actually speed your weight loss when you learn how to overeat one day during your diet week. 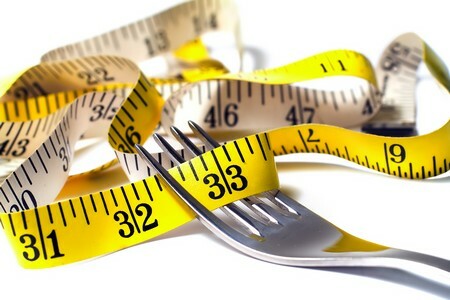 Your weight will come off slower and slower the longer you stay on a restricted calorie plan. This is because your metabolism adapts to your lower calories by slowing down. To prevent this adaptation add 25-50% more calories one day a week and your metabolism will spring back up and stay strong. Water or decaffeinated tea. Stay hydrated by getting 8 glasses of water or decaffeinated tea a day. When your body is dehydrated your metabolism runs slower. Eat with your body’s energy needs. Your body needs energy rich foods in the early part of the day so feed it carbohydrates at this time. However, your body’s energy needs slow down as evening rolls around so this is a good time to avoid quick energy foods such as carbohydrates because they will not be used and instead will turn to fat. DO WHAT YOU LIKE – If you are not having at least a little bit of fun at the gym, you’re not going to want to keep going. Find a group class you like, such as boot camp or Spinning, and use machines that you enjoy. PLAN AN EVENT – Long-term goals are as important as short-term ones. For instance, plan a party. Once you send out the invitation, the pressure is on to look great for the big day. VARY YOUR WORKOUTS – Change the number of reps that you do. The body adjusts to that change faster than it adjusts to the actual exercise, so altering that number prevents the body from plateauing. KEEP A JOURNAL – Use a food diary to plan the next day’s meals- or at least mentally map out a strategy. Write down exactly what you’ll eat and drink, and when. Or write down two or three options and choose one when it’s time to eat.